Get a Free beverage from the Target Cafe Dec 10 – 24th, if you are a Target Redcard holder. Choose a 16 ounce JambaGo Smoothie, small fountain drink or Icee. Hot Tip: As a reminder, put a notice in your phone calendar so you don’t miss out! 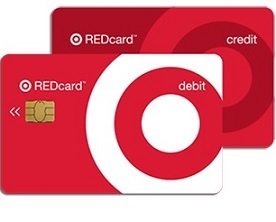 Log into Target Redcard account for more details. Las Vegas Extreme Couponing Workshop!